It is not necessary to build a relationship with people, or wait for an invitation to speak to them about spiritual issues, or 'earn the right' to share the gospel. Acts 2, Peter stood up and preached the Gospel open-air and by the power of the Holy Spirit, 3,000 people were saved. Acts 17, Paul set up shop in the marketplace in Athens and “reasoned” about Christ with “those who happened to be there” (Acts 17:17). Learn how you can share the gospel with strangers, friends, or family members. Watch these videos. Or get this free evangelism book. Gospel tracts come in many different varieties, but are essentially pieces of paper with the printed gospel message on them. Some of the most popular gospel tracts are in the form of dollar bills that often have dollar values that don't actually exist as real money. Gospel tracts are a great way to share the gospel when it may not be appropriate or desirable to spend the time verbally sharing it. While I have met people that DO NOT hand out gospel tracts, I've never met someone that WOULD NOT hand one out - until recently. While I was out to dinner a while ago with several Christian friends it came time to pay the bill. One generous person, who I'll call William, offered to pay the bill for all of us. While I saw William figuring out the tip that he was planning to leave our server I reached in to my pocket to get a million dollar bill gospel tract that I carry around. I knew William fell in to the category of someone that did not hand out Gospel tracts on a regular basis, but I did not assume he would fall in to the category of people that would not. I, in fact, was quite shocked when I handed him the gospel tract to include with the servers tip and he refused. He stated that he didn't believe that giving our server a gospel tract was a good idea because it would be better to verbally share it with our server. Even the person sitting across from him, who was involved in the matter agreed that it would not be good to leave a gospel tract, but would instead be better to speak to the server directly. 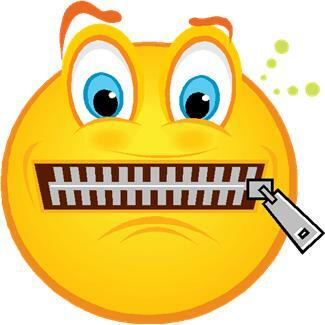 When I asked that person if he was planning on speaking to the server directly to share the gospel, he just starred at me, as though shocked by even the question. So after dinner, I proceeded to go find our server. I shared with her that she did a great job as a server and that myself and my friends all appreciated her service. I then handed her a million dollar bill gospel tract and shared with her that we did intact leave her a real tip, but that I also wanted to share this million dollar bill with her. I told her that myself and my friends were Christians and that we didn't have any desire to shove our religion on people but that we did think the message on the back was very important and we wanted her to have it. She smiled, looked at me, and said thank you. I smiled, looked back at her and said you're welcome. William, and another at the table, stated that it was better not to leave a gospel tract and instead to talk to the person directly, but neither of them did that. I did not speak share with that girl that she had a sin problem, and needed a savior in order to be forgiven, verbally, but I did share a gospel tract and a smile with her. Which way seems better, more caring, and more inline with what God would want? I think the way I shared the gospel, is better than the way they didn't. While it may be better to engage in a verbal conversation with someone regarding the gospel of Jesus Christ, it is certainly better to share it written than not at all, right? Charles Spurgeon has been quoted saying "When preaching and private talk are not available, you need to have a tract ready...get good striking tracts, or none at all...therefore, do not go out without your tracts." Charles Spurgeon, the prince of preachers, is saying that sometimes it may not be appropriate to share the gospel through preaching, and the circumstances may not be ideal to engage in a private conversation about the gospel. In those cases, use a good gospel tract. I can only assume that Spurgeon would want a gospel tract that contains a clear, concise, biblical gospel tract that contained both the bad news that sin is breaking God's law and the punishment for it is death and eternity in hell, and of course, the good news that Jesus Christ suffered and died on the cross to pay the price for sinners who would believe in Him. Why should Christians use Gospel tracts? The short answer is "Christians should use Gospel tracts, because God uses Gospel tracts." The Apostle Paul said, "To the weak became I as weak, that I might gain the weak: I am made all things to all men, that I might by all means save some" (1 Corinthians 9:22). If the Apostle Paul meant "by all means," he surely would have used gospel tracts as a means to share the gospel of Jesus Christ with all, that some might be saved. While I don't support everything that the aging Billy Graham says, I do agree with him when he said of Gospel Tracts: "Nothing surpasses a tract for sowing the seed of the Good News." For 10 Reasons to use Gospel tracts, click the link below. The Apostle Paul rejoiced even when evil men preached the gospel—when they did so “insincerely, hoping to add affliction to my bonds” (see 1 Philippians 1:15-18). This is because the quality is in the seed, and not in the seed’s sower. However, evangelists who tell people to just ask Jesus into their heart because He will make things better are not preaching the gospel. The “gospel” is the good news that Jesus suffered and died on the cross and rose again on the third day. He did this to save us from the wrath of God’s Law and from a very real Hell. But such hard biblical truths don’t go down too well in a blasphemous and sin-loving world. So they leave out the essentials of sin, righteousness and judgment. They water down the medicine to make it palatable, but in doing so they remove from it its curative properties. Is Rap Music a Sin? Tonight on Mill Ave I was sincerely asked if it's a sin to listen to rap music. Absolutely not... at least in and of itself. He said his parents didn't want him listening to Rap music... I advised that it's a sin not to honor your father and mother. More than likely they weren't apposed to the beat or rhythm but rather the disgusting themes and lyrics of the music. I advised him that there's several Christian artists that produce rap music that is more theological than most churches. Will you take me as i am; i know the way im livin is wrong, but i cant change on my own tryin to make it alone; i wonder, how could u love me with my life so ugly; when you came down and died for me.Will you take me as i am; i know the way im livin is wrong, but i cant change on my own tryin to make it alone; i wonder, how could u love me with my life so ugly; when you came down and died for me. im still tryin to be the man my daddy ever taught me to be; im grown up now, life aint what i thought it would be; i made many mistakes in my past i cant fix; now im starin at this crucifix, tainted on my wrist; is it true what they tellin me am i just crazy; did you bleed on the cross for my sins to save me; but why would you die for me; my whole life ive been workin for Satan while he fed lies to me; and now im hearin too much; tryin to get in true touch; about a love that can change me; im all screwed up; figured hell is what i deserve; but ur word says we all fall shook; so i guess we all owe a bird; teach me i want to learn; how you can save a wretch like me before death sends its last turn; i think i finally understand; no matter my past you'll still take me as i am. Will you take me as i am; i know the way im livin is wrong, but i cant change on my own tryin to make it alone; i wonder, how could u love me with my life so ugly; when you came down and died for me.Will you take me as i am; i know the way im livin is wrong, but i cant change on my own tryin to make it alone; i wonder, how could u love me with my life so ugly; when you came down and died for me. Will you take me as i am. i had a few last words to give; ive been tellin people the reason to live, the reason to die; united with the king of the sky; this life is passin us by, ive got no reason to lie; you'll never give the world enough; they'll hunger for more; there fixin there ways of nothin to settle the score; more security than the man who left you; or more love than the mommas who kept you; he'll always except you; be everything your supposed to; let christ rule your heart mind body and soul because he chose you; and if the world dont know you; it dont matter, your god's child and he'll never disown you; your purpose on earth is far from worthless; thats why you glorify like your lifes been purchased; and it dont matter if the world dont see us; we still mean the world to jesus. 1910 Model T Ford. How Times Have Changed... Or Have They? It's a brand new car! 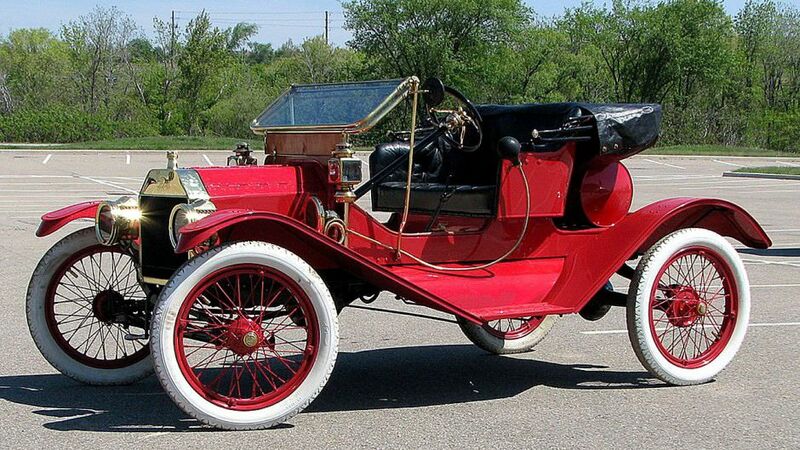 Or at least it was in 1910, when it was made by the Ford Motor Company. Below are some interesting statistics about that year, only a little more than one hundred years ago. Consider what people will think when they read what life was like now in one hundred years. The American flag had 45 stars. But in 1907 there were 46 states !!!??? There were about 230 reported murders in the entire United States! Even though the causes of death are different now days, the statistics haven't changed: 10 out of 10 people die. The Bible says that it's appointed once for man to die, and after this comes judgment. Do you think when you die you'll be innocent before God? Well, let's take a look at the standard by which you'll be judged: the 10 Commandments. The ninth commandment is you shall not bare false witness (tell a lie). Have you ever lied? The eighth commandment states "You shall not steal." Have you ever taken anything that didn't belong to you, irrespective of it's value? The seventh commandment is "You shall not commit adultery" and Jesus magnified that law by stating if you even look at someone with lust you've already committed adultery in your heart with that person. So if you've broken those laws God sees you as a lying thief and adulterer at heart. On Judgment day when you stand before God will you be innocent or guilty? If you're honest with yourself, you know you'll be guilty. And should God therefore send you to heaven or hell? The Bible says that God will punish all murderers, rapists, thieves, liars, adulterers, etc. He will even judge our words and thoughts. On Judgment Day, will you be found to be innocent or guilty of breaking His commandments? Perhaps you think that God is good, and will therefore overlook your sins. But it is His goodness that will make sure that murderers, rapists, thieves, liars, etc. receive justice. He would be a corrupt Judge if He turned a blind eye to injustice. You may say that you are still good, but God says you’re not (see Psalm 14:2-3). So one of you is lying, and the Scriptures tell us that it is impossible for God to lie. Remember that all liars will be cast into the Lake of Fire (Revelation 21:8). God’s Law demands justice, and the penalty for sinning against Him is death and Hell. Listen carefully, if you want to live. God Himself made a way where His justice and His goodness could meet. We broke the Law, but He became a man to pay the fine. Jesus Christ suffered and died on the cross to satisfy the Law. God can forgive us and grant us the gift of everlasting life! But you may still think that you can (from now on) keep the Ten Commandments. But isn’t it true that the best of us have lied, stolen, lusted, hated, failed to love God above all else, and failed to love our neighbor as ourselves? How can we then, live a “good” life if we have already sinned against God? At best we are reformed liars and thieves … but still Lawbreakers. The Bible says, “For by grace are you saved through faith, and that not of yourselves, it is the gift of God.” You cannot earn a gift. When Jesus said to “believe” on Him, He was saying we should have faith in Him, in the same way you would trust a parachute to save you when you jump from a plane. You don’t merely believe in the parachute - you put it on. Please don’t “jump” without Jesus. If you die in your sins there is no second chance. God will give you justice, and you will end up in Hell forever. Any troubles you have at present are dwarfed by the trouble you are in with your Creator. His wrath abides upon you (John 3:36). God doesn’t want you to go to Hell. Neither do you want to go there, so confess your sins to God right now, put your trust in Jesus to save you, and you will pass from death to life. Then read the Bible daily and obey what you read. (See John 14:21). Your obedience to God is the proof of your love. Have faith in God, He will never fail you. This year at Apple's WWDC Conference I had the opportunity to listen to Lost director J. J Abrams during a talk titled The Physics of Inspiration. During his talk Abrams discussed his childhood and some early stories of his film career. He mentioned that when he was a teenager he received a call from Steven Spielberg who asked him for some help editing some 8mm film that Steven had filmed when he was younger. I don't know quite why, but I find Hollywood and celebrity stories interesting. At one point J.J. mentioned that his hair was the way it was because he was Jewish and frazzled. When Abrams said he was Jewish I thought it was good that at least he wasn't a fool who believed there was no God (Atheists). However after listening to him talk and hearing the fowl language he used, including blasphemy, I doubted that he actually believed in the God of the Bible. The ninth commandment is out shall not lie (bear false witness). Have you ever told a lie? If you have, that makes you a liar. Have you ever stolen anything? That's the eight commandment. If you've stolen, regardless of it's value, that makes you a thief. So that's just two of the ten commandments... And if you've broken those, you're a lying thief. That doesn't sound like a very good person does it? And think of how many times you've done those things. I mentioned blasphemy before, that's taking God's name in vein, using it irreverently. Abrams did this multiple times in his talk. The Bible says it's appointed once for man to die, and after comes the judgement. That means if J.J. Abrams was to die today, he'd have to face God, and he'd be guilty. We only looked at three of the ten commandments, and that's enough to condemn Abrams, and me. What about you? Sounds like the self proclaimed Jewish director J. J. Abrams is in trouble. The Bible warns that if he dies in his sins (sin is breaking God's Laws) he'll not only end up in hell, but be there forever. God is so just and good that he hates sin. He HATES SIN. So, in addition to hoping that J.J. Abrams doesn't die soon, I hope that he doesn't die in his sins. You, or he, might wonder J.J. Abrams has already sinned, so how is it possible that he wouldn't die in his sins. Well, the same God that hates sin, also is rich in mercy. God made a way for sinful people like me and J.J. Abrams to get their sins forgiven, thus they won't die in their sins. What's the way? Jesus Christ is the way, the truth and the life. That's what Jesus said. Jesus Christ is God's Son who was sent to earth to be the Way that not only could our sins be forgiven but His righteousness was given to us. Whoa, I'll back up in case I lost you. Think about it like this. We broke God's Law and Jesus paid our fine. Jesus lived a perfect, sinless, life. Then he suffered and died on the cross as a payment for sin. This means that J.J. Abrams and anyone else who hasn't needs to realize that they've sinned against God. Realize that he is not nearly good enough to go to heaven and very qualified to go to hell (like me) because of their sins. J.J. Abrams needs to then understand that Jesus Christ is the only way he can enter heaven and then trust that Jesus died on the cross for his sins. I pray for J.J. Abrams and I hope that he will repent and trust in Jesus Christ. I don't put J.J. Abrams up on a pedestal and it's not like I want him to go to heaven anymore than anyone else. I just saw him today and I felt compelled to write this and attempt to share the gospel with him or anyone else that reads it. Right now J.J. Abrams is truly LOST. If you're a Christian reading this, please join me in praying that J.J. Abrams will repent of his sins and trust in the Way, Jesus Christ. NOTE: To be very clear, I do not dislike J.J. Abrams in any way. I liked The show LOST (until the sixth season). And I am in no way upset at J.J. Abrams. Very rarely would I ever point someone to the "Praise the Lord" program or the "TBN" network. This is one of those rare occasions. 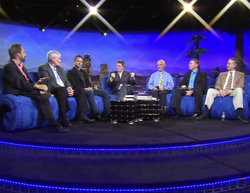 According to Eric Hovind, who appeared on the show, this program on TBN has become the most viewed video ever on TBN! If you've ever wondered how old the earth is, or if that issue even matters, this program will answer the question. You'll find some who believe in an "Old Earth" and others that believe in a "Young Earth" and one who claims to be in the middle. This program is great for Christians and non-christians alike. Grab some popcorn and your loved ones and check this out. Matt Crouch hosts Ken Ham from Answers in Genesis/Creation Museum, Dr. Hugh Ross from Reasons to Believe, Ray Comfort from Living Waters, Dr. John A. Bloom from Science & Religion Program Biola University, Sean McDowell from Sean McDowell Worldview Ministries, Eric Hovind from Creation Today and music by Christian Ebner. My thoughts on the subject / program. First, I am not a "Young-Earther." I for one believe that 6,000 years isn't young at all. To be clear, that was a joke... I agree with Ken Ham that the authority of my believe, and truth, is God's Word (the Bible). I don't believe there is anyone who would come to the conclusion of millions or billions of years after reading the Bible. I never believed, as a result of reading God's Word, that the world was millions of years old. I remember when I was an early Christian and the subject of Dinosaurs came up with me... Yes, I believed (because I was taught in schools and from a young age) that the world must have been millions of years old since I believed that dinosaurs lived on earth and I was told that they died about 65 million years ago. I don't believe I could say it any more clearly than Ken Ham, Eric Hovind or Ray Comfort explained it within this program, so I won't try. I will say that I agree with them. I will make sure to disregard anything I hear in the future from Hugh Ross, or at least pass it through a very strict filter. Regarding Sean Mcdowell, I think he needs to get off the fence and choose his position… I think that his position of sitting on the fence is like someone who is really sitting on a fence… it hurts, and it's not a good place to be. I am a bit worried for Hugh Ross… because he said what brought him to a faith in Jesus Christ was some understanding he got about creation when he was younger… If that's all that 'brought' him to Christ, then I fear for him and his soul. That is not the right motive to come to a savior. To learn more about that, watch any of Ray Comforts videos (for one, God's Wonderful Plan, found here on this site.) As Ray Comfort explains towards the end of the program, there is one reason to come to Jesus Christ for salvation… and it deals with something that we need a savior for. Honestly, if I was in a college course taught by John A. Bloom I would drop out immediately. It's strange to me that someone who is a Doctor, and proclaimed to be so smart is sooo loosey-goosey. He seems to be sitting on a fence just like Sean, which isn't a good place to be. As for the music by Christian Ebner: I thought his voice was pleasant and I liked the second song he sang. I didn't like the first song he sang as I thought it was too "warm and fuzzy" for me. I will say in closing, it's probably better to be ignorant like Bloom and McDowell, than wrong like Dr. Ross. What do Jack & Jill have to do with Evangelism? I am so very excited to be able to serve my LORD and my church in this way. On February 25th, I will be putting on an Evangelism Seminar teaching people Biblical Evangelism. This seminar is free, and even includes a FREE LUNCH (there is such thing)! We will be covering basic principles taught in the Bible about sharing the Gospel simply, effectively, and biblically, the way Jesus did. If you're in the Phoenix valley, and would call yourself a Christian, please don't miss this event. Registration is required. (click here) Even if you would say that you already know evangelism, I recommend that you come and I prayerfully consider brining a friend to learn also. I arrived at Mill Ave while Tom was up "on the box" open-air preaching. He was talking to some girls that sadly couldn't any less about what Tom was saying… or at least it didn't appear to me that they cared. They were four lesbian girls that simply cared about getting a glow stick neckless from Tom. 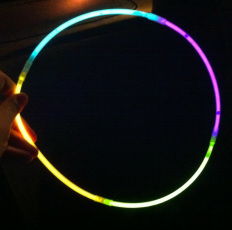 We give away glow stick necklaces to people to encourage them to take the "good person test." This is the primary tool that we use to get to the gospel of Jesus Christ. The good person test walks a person through several of the 10 Commandments showing them that they are not good compared to God's standards. We offer people a glow-stick necklace if they can prove that they are a good person (of course we know that they aren't good enough). After taking a person through the test, we advised them that like God, we will show them grace by giving them the necklace even though they don't deserve it. Just like God gives us Grace in that we get salvation, even though we don't deserve it. I had the pleasure of meeting Brian and his son on Mill Ave. He stated that he was a Christian but that when it came to sharing his faith, the Gospel, with others he took a less direct approach. That is, he lived his life in a way that people would see Jesus in him. He said he was "timid" when it came to sharing his faith. Two thoughts on that… 1) Of course we should live our lives in a way that others would see "Jesus in us," but Jesus said to go into all the world and "PREACH" the gospel to every living creature… it seems only reasonable that we could preach the gospel to humans that are around us. 2) The fact the he was timid to share the Gospel also makes sense. I would be timid to share the Gospel if I didn't know how. But I do, and moreover I've made it a goal to teach other Christians to do the same. There are a couple of Evangelism Seminars coming up soon. One I am helping with, and the other I am putting on. If you're interested, keep an eye on this blog or my Facebook posts. This seminar is free… and it will change the way you think about evangelism for good. Brandt Dary is a normal Bible believing Christian with a heart to share the Biblical Gospel and teach others to do the same.